Water is often the key ingredient in determining whether the soils on a slope will hold together or become a dangerous mass of moving earth. A cubic foot of water — just 7.5 gallons — weighs 62.3 pounds. Water not only weighs down a slope, it also pushes the grains of soil apart, making for a more slippery material. Plant trees and shrubs, which uptake water more efficiently than lawns. Excavating on or at the base of steep slopes. An appropriation by the Washington Legislature in 2015 allowed DNR to extend its hazard mapping with the use of high-resolution lidar. See the Washington Lidar Portal for locations where high-res imaging has been applied, or learn more about LIDAR and the mapping project. A lot of other information can be found on DNR’s Geologic Hazards website, and you can use a mobile app to learn about the local geology while you travel. 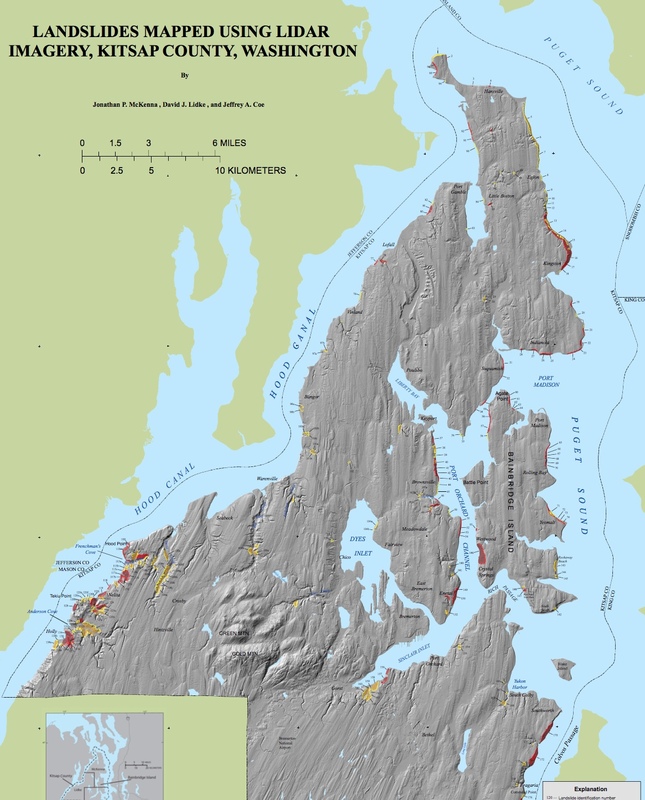 A 2007 map of geologic hazards in Kitsap County (PDF 16.7 mb) can be found on the county’s website. A study by federal geologists identified 231 landslides of significant size in Kitsap County, potentially affecting 1 percent of the county’s total area. Read the report or download the map (PDF 34.1 mb) from the U.S. Geological Survey website. I can’t sign off on this topic without mentioning that landslides may occur more often in the future because of the patterns of rainfall expected in the Northwest as a result of climate change. 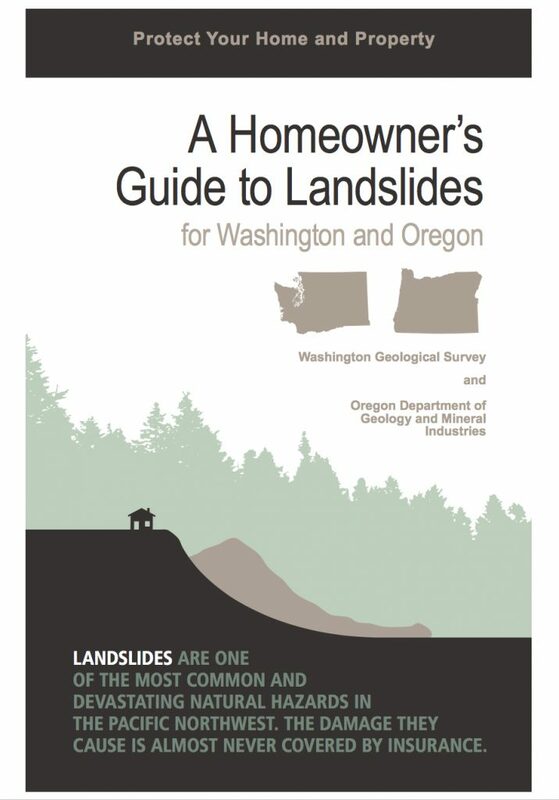 Check out my story, “Shifting ground: Climate change may increase the risk of landslides,” in the Encyclopedia of Puget Sound. If you are looking for an easy-to-understand report about climate change, I highly recommend “State of knowledge: Climate change in Puget Sound” by the University of Washington’s Climate Impacts Group.